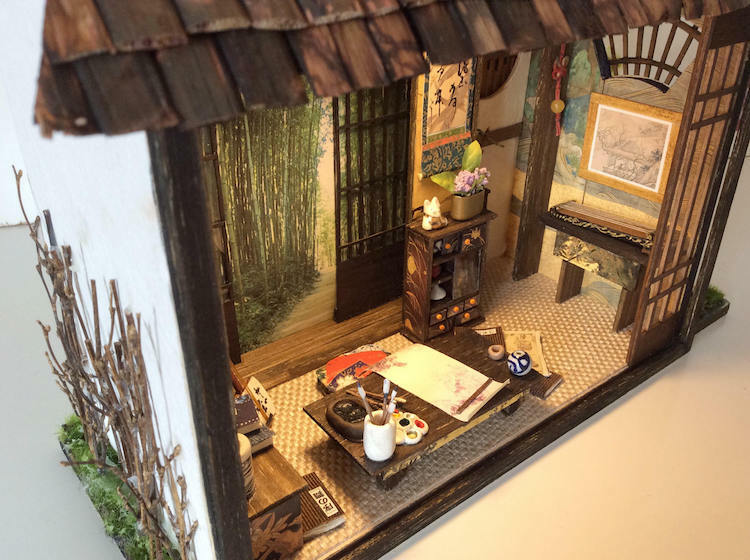 While we’ve seen many different forms of dioramas, there’s something that all of them have in common: the alluring beauty that comes from capturing our world in miniature form. The work of New York-based artist Simon Lo is no exception. 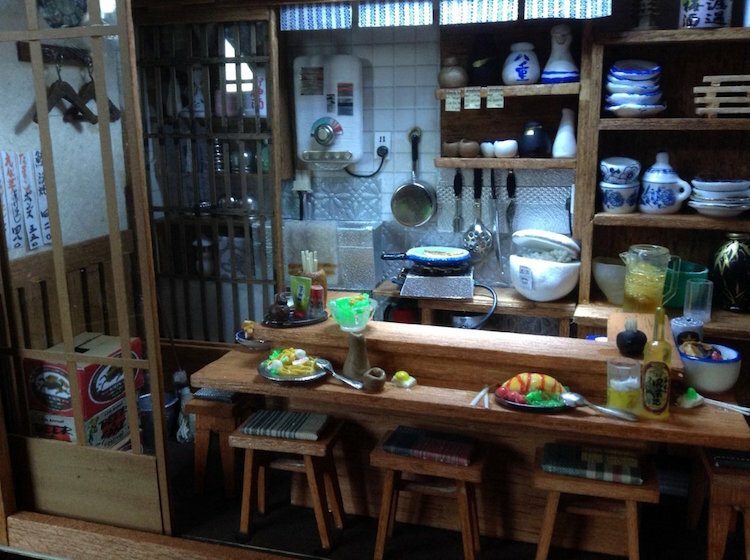 The talented miniaturist creates incredible, scaled-down versions of traditional Japanese houses that are filled to the brim with tiny hand-crafted items. 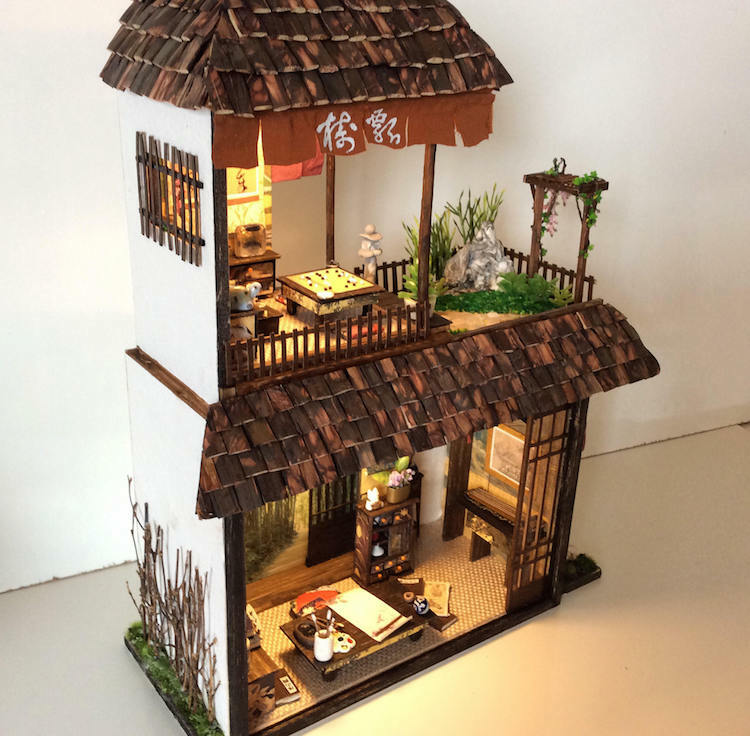 Each charming miniature is planned and hand-built with incredible attention to detail. In one particular two-story model, Lo uses dried banana leaves to construct the roof and light-weight plexiglass for part of the front. There’s even two LED lights on each floor that can be turned on and off from the back. 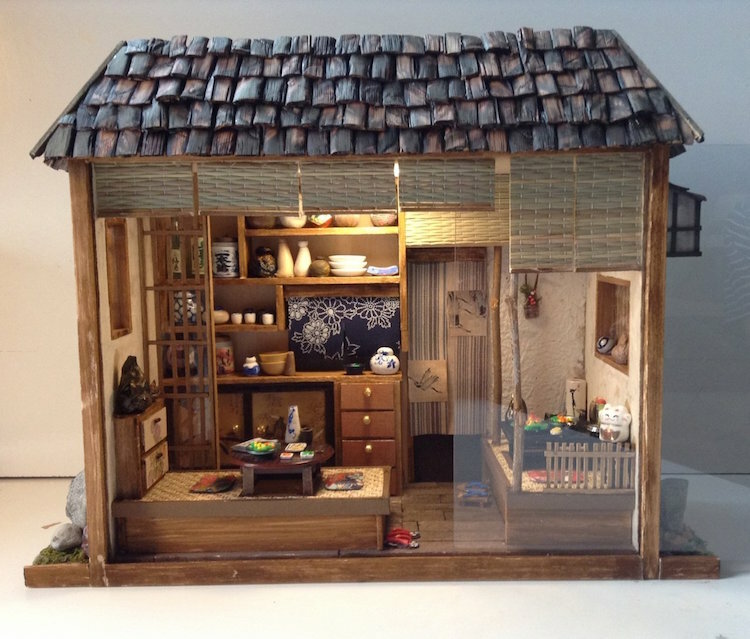 Traditional Japanese houses, also known as minka, are characterized by wooden verandas, sliding doors, and tatami mat flooring. 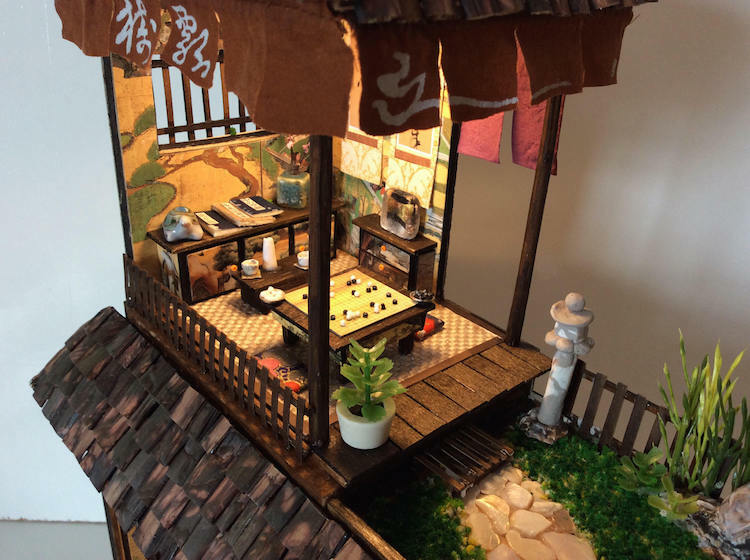 Lo’s miniature versions feature all of these details and more. While the main structures are made from wood, the interior details are meticulously handmade from paper. From the furniture to the wallpaper, each tiny abode is entirely unique and tells the story of the type of person that might inhabit them. 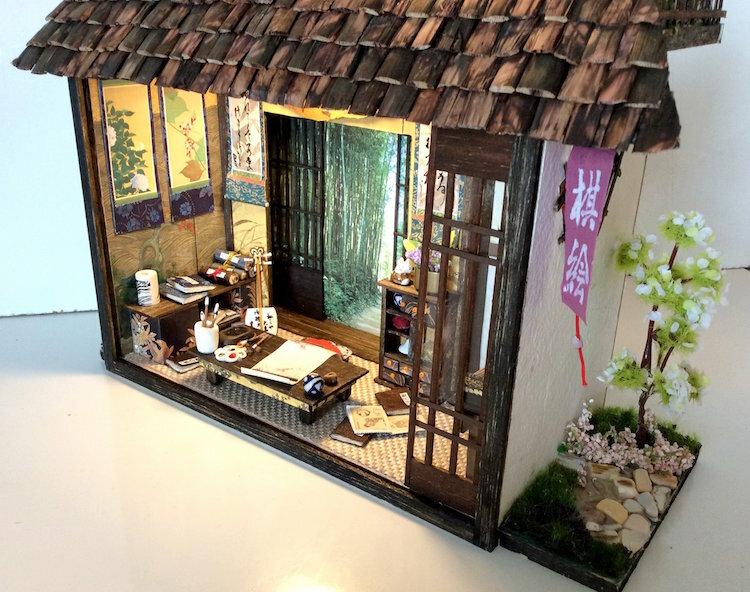 In one piece, itty bitty paint brushes, a tiny paint palette, and a small scroll of washi paper can be seen on a table, suggesting that an artist or calligrapher might live there. In Japan, it’s common for people to remove their footwear upon entering. This is illustrated in another model where you can see a tiny pair of traditional sandals known as geta neatly placed in the entrance hall. 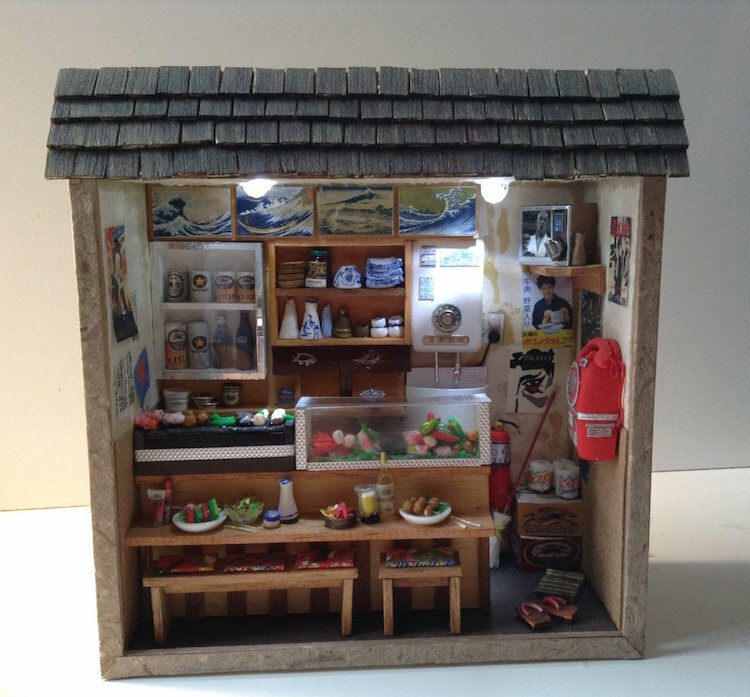 You can see more from Lo’s diorama portfolio and purchase his incredible creations on Etsy. 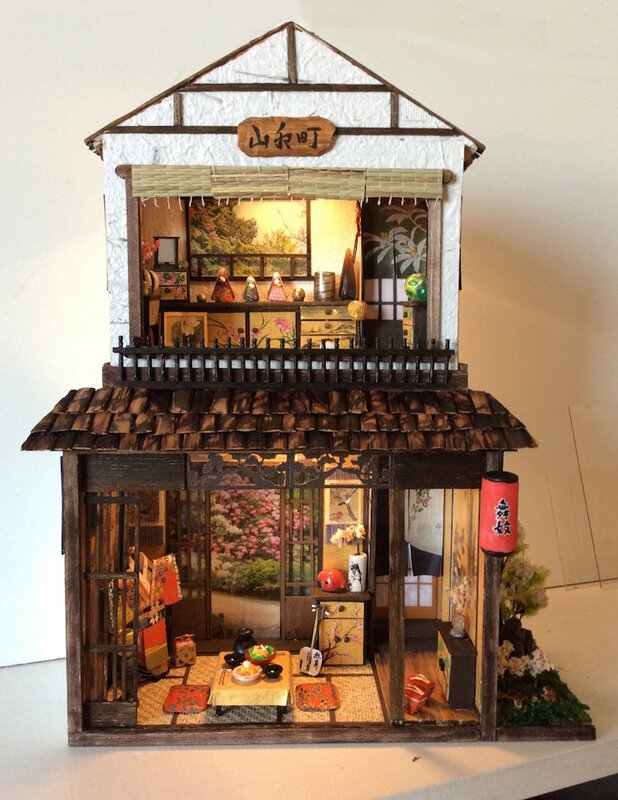 New York-based artist Simon Lo creates incredible, scaled-down versions of traditional Japanese houses. 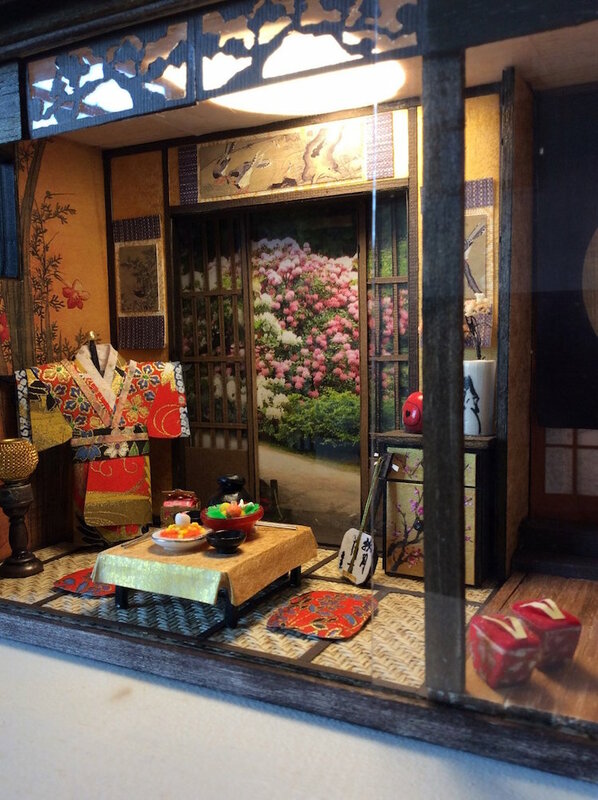 From the furniture to the wall paper, each tiny abode is entirely unique. 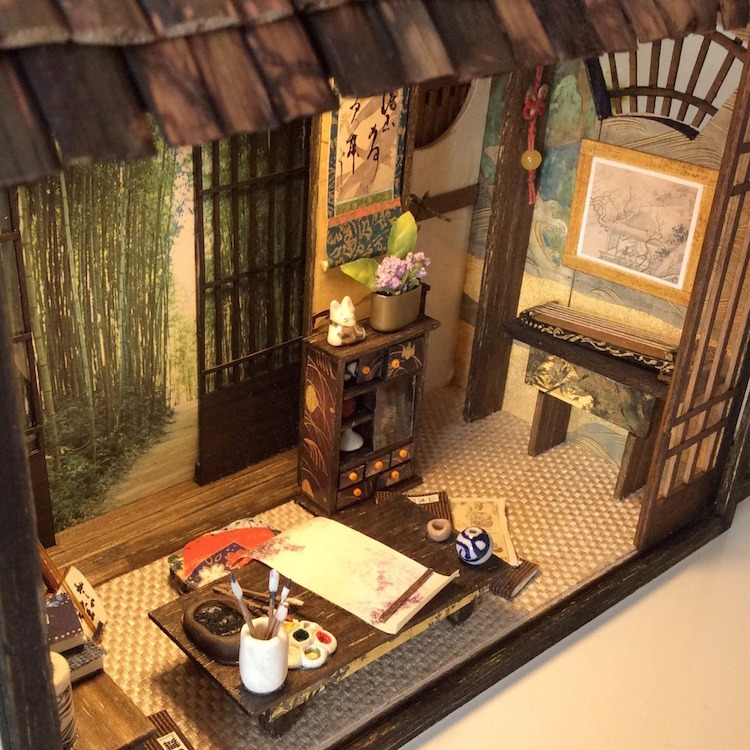 Each detailed diorama is filled to the brim with tiny hand-crafted items made from paper. 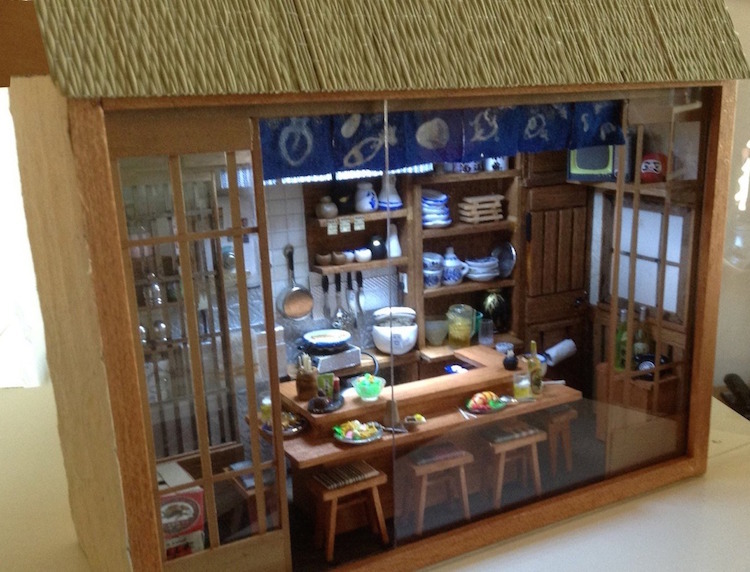 Traditional wooden verandas, sliding doors, and tatami mat flooring are seen in miniature. Lo used dried banana leaves to construct some of the tiny roofs. 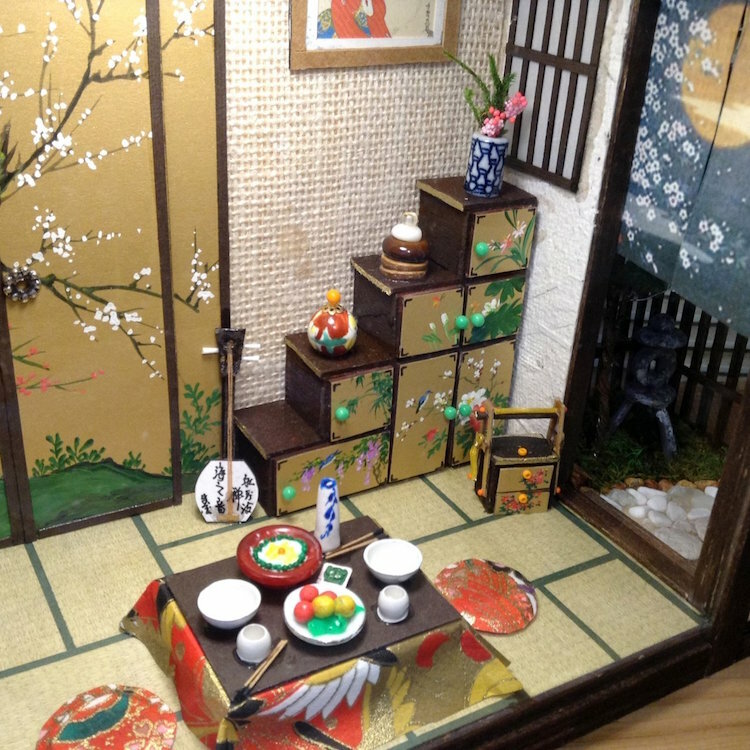 He’s even made mini sushi restaurants! All images via Simon Lo. 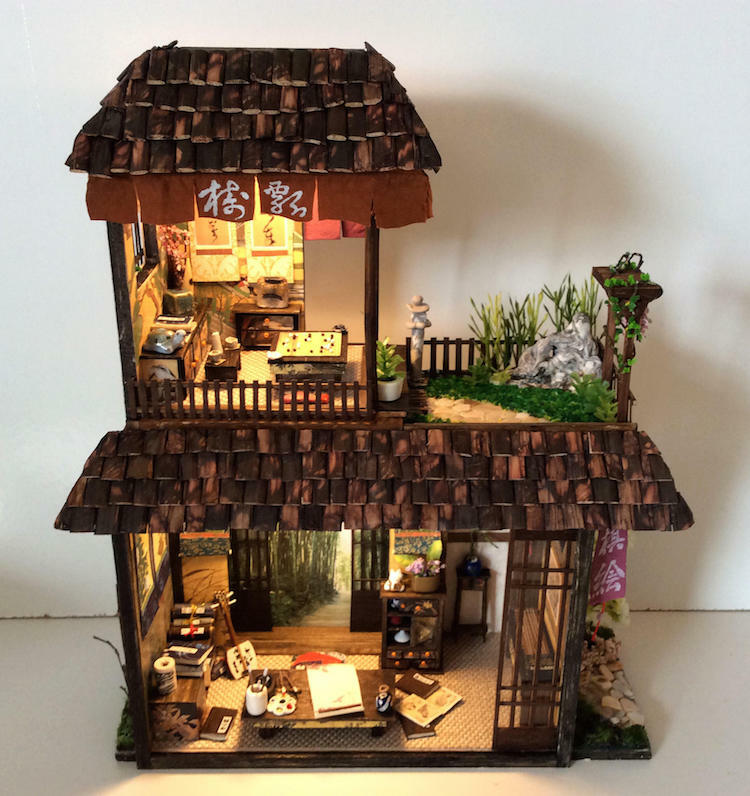 The post Artist Crafts Miniature Replicas of Japanese Houses Filled With Traditional Details appeared first on My Modern Met.